The iPhone X has a nearly bezel-less display, and uses a notch that extends down from the top of the screen for cameras, proximity sensors, and the earpiece speaker. Developer Guilherme Rambo appears to have found how the screen will draw common interface items around the notch. 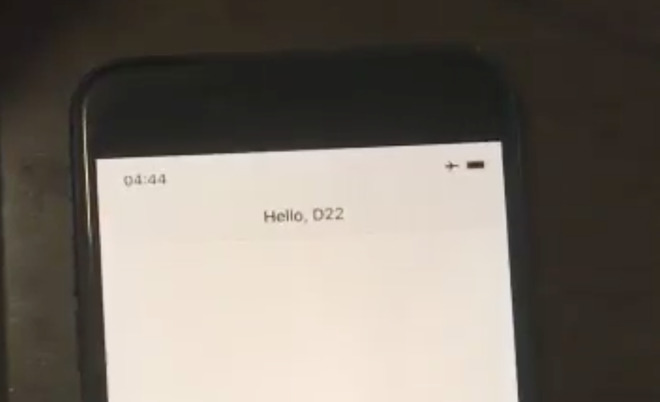 The firmware hacked by Rambo shows the clock on the left of the notch, and wireless signal and battery life to the right. Also, there's now an animation triggered by connecting a charger, where the non-charged battery icon turns green and scales up. Developer Stephen Troughton-Smith has also put together mockups showing what the scaled up battery looks like with the notch rendered in, and the addition of a red rounded rectangle background for the clock when an application is recording. By comparison, in iOS 10 and previous, the status bar at the top of the phone would turn red to indicate recording. We'll have more information as it happens, and live coverage from the Steve Jobs Theater on Tuesday, Sept. 12, at 10 a.m. Pacific, 1 p.m. Eastern.